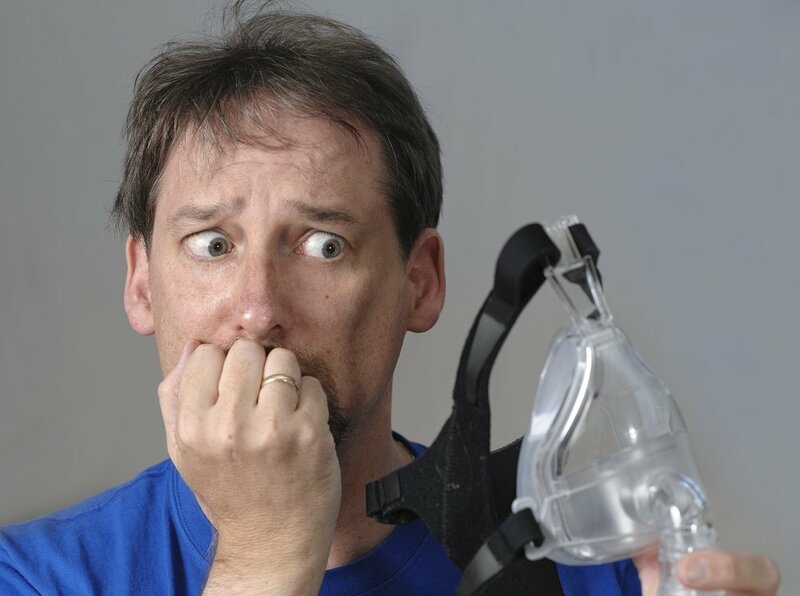 You've probably heard about sleep apnea and CPAP therapy by now. 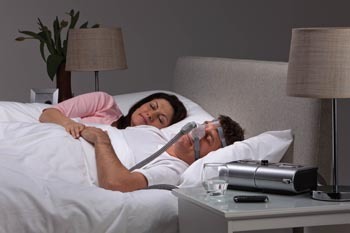 Your relative or your friend may have sleep apnea and have talked about their experience using CPAP. But what exactly is CPAP? CPAP stands for Continuous Positive Airway Pressure. CPAP therapy is considered the "gold standard" for treating obstructive sleep apnea (OSA) and has been available for 30 years. It refers to the pressurized air that is delivered through a unique delivery system which utilizes a mask. 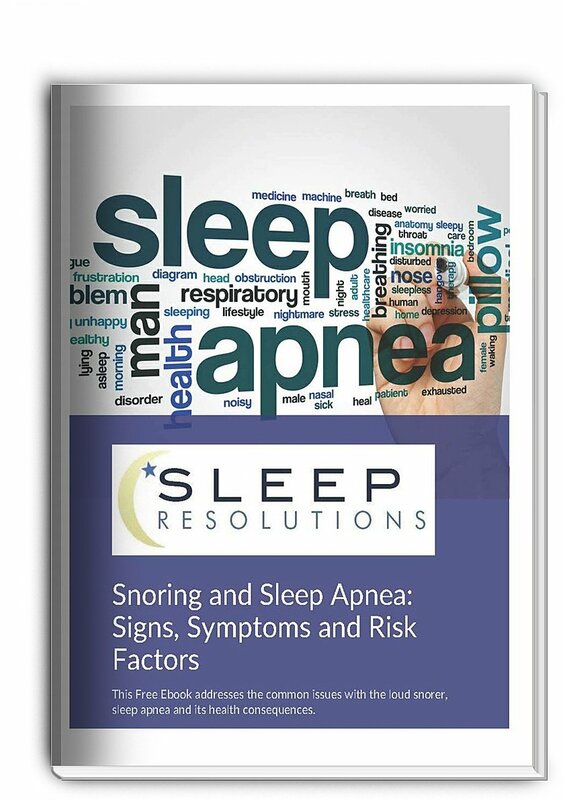 People with sleep apnea receive a prescription for their air pressure setting (from a sleep specialist) as well as a prescription for the specialized machine and equipment used to deliver it. The air intake section of a CPAP machine has a filter on it to eliminate the intake of dust, smoke, or other impurities in the air. You will replace the filter as necessary. Another key part of the CPAP machine is the humidification chamber built into the box. This is where water is warmed to humidify the pressurized air before it is delivered. Warm, moist air soothes your nasal and upper airway passages and helps prevent swelling and discomfort that can sometimes occur while using the therapy. Although using humidification is optional, it brings relief for the majority of patients using CPAP therapy who live in dry or arid climates or who wake up with a dry mouth, nasal passages, or throat. The humidification chamber is pretty easy to keep clean and should last the lifetime of the machine itself. Attached to the CPAP machine is a hose which connects the box to the mask. This flexible, lightweight tubing is typically heated to reduce any condensation that might collect inside it while the humidifier is in use. The hose is long enough—around 6 feet—to give you full movement during sleep. Hoses can wear out over time and you should replace them as necessary. That leaves the CPAP mask. 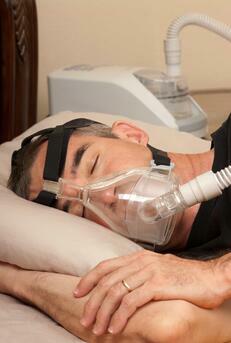 It is often said that the success of CPAP therapy often rests on how comfortable and well fitting the mask is. CPAP masks come in a variety of shapes and sizes to suit the vast array of facial landscapes. Masks wear out over time and should be replaced on a regular schedule. CPAP machines are fairly compact and can easily fit on a standard nightstand. They are pretty easy to keep clean, and with regular maintenance and care, should last you a long time. People who have sleep apnea have problems with keeping the airway open for normal breathing as they sleep. Most commonly, the soft tissue in the throat and oral cavity (the tonsils or tongue, for instance) relaxes and/or collapses, closing off the space needed for air to move through the nose and into the lungs. This leads to pauses in breathing that can happen consistently enough, and long enough, to deprive the bloodstream of the oxygen it needs to deliver to all the organs. The brain senses this drop in blood oxygen and forces an awakening. 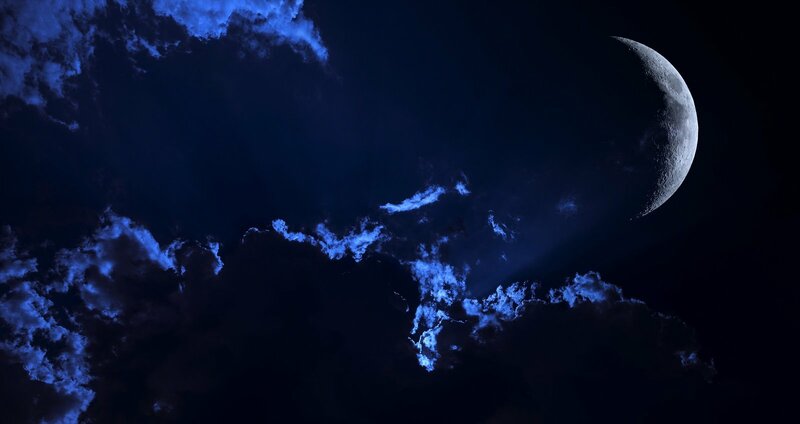 However, some people can experience more than 100 of these pauses and awakenings per hour for most of the night! It's no wonder why some people with severe sleep apnea feel so tired all the time. 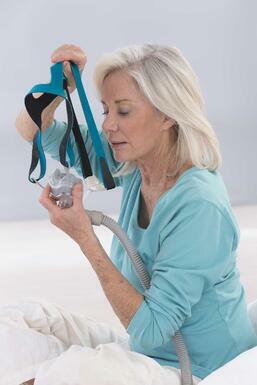 If this interrupted pattern of breathing is left untreated, it can create long-term health problems for the sufferer. CPAP was created to help keep these pauses from happening. 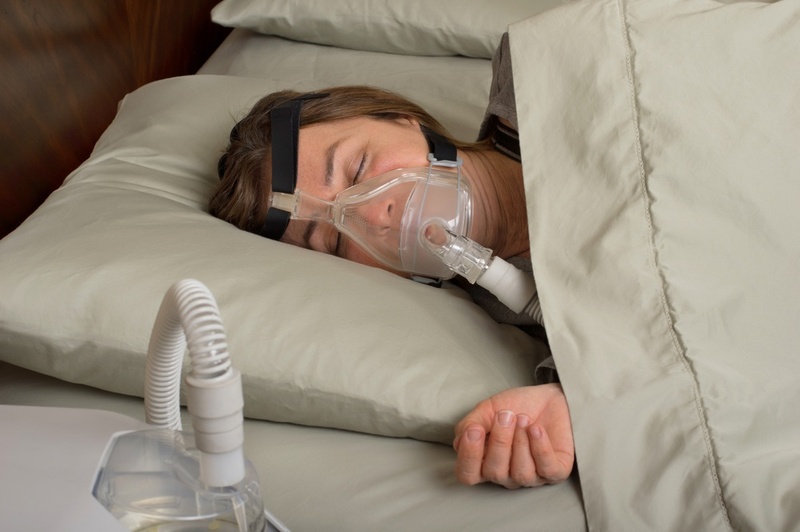 The machine, by way of the tubing and mask, delivers a stream of pressurized air as a kind of "pneumatic splint" to help prevent the collapses that are characteristic of obstructive sleep apnea. By helping to keep the airway firm and open, the pressurized air provides the support necessary for the user to breathe freely and without obstructions. Following diagnosis, it may be necessary for you to visit the lab another night to try out your CPAP therapy to determine the air pressure setting that best benefits your condition, and to help you find a good-fitting, comfortable mask. 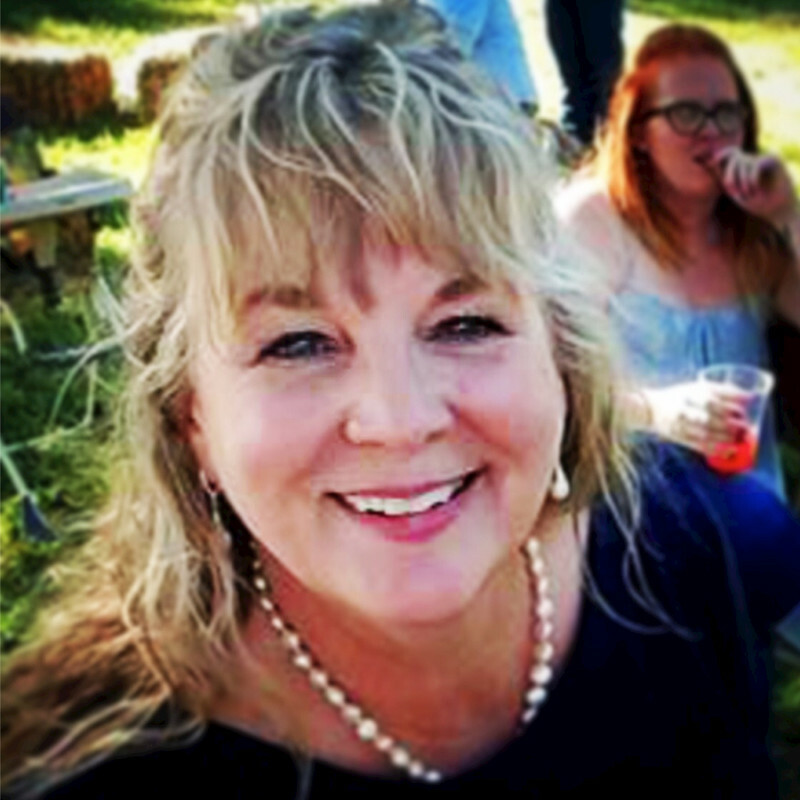 After these goals are reached, you will meet with a durable medical equipment (DME) specialist who will set you up with your entire CPAP kit: the machine, the hose, the mask. They will give you all the instructions you need for using it and answer any questions or concerns you have, not only on the day you receive the CPAP machine, but in the weeks that follow as you adjust to using it. The main goal is to use the CPAP machine every night for as long as possible in order to enjoy the benefits of quality sleep and good oxygen levels in the blood. Not only will you feel better, but regular CPAP use will prevent a lot of chronic illnesses from developing (such as high blood pressure, diabetes, or cardiovascular disease) or at least relieve the symptoms of the ones you may already have. You may also enjoy improvements in energy, focus, and overall mood that come with restoring balance to your whole body. Here at Sleep Resolutions, we run a hybrid clinic, which means we can offer both diagnostic services and supplies of DME equipment (such as your CPAP kit) all under the same roof and all within the same day. This isn't always the case for other sleep clinics, and we take pride in our full-service reputation.